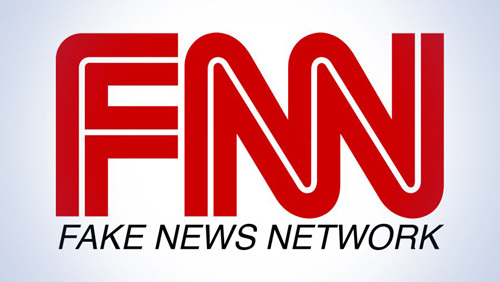 (Natural News) Now that the mainstream media’s Covington Catholic High School hoax has been completely debunked as fake news, fake news ringleader CNN is trying another desperate approach, claiming that hand gestures one of its reporters observed in video footage of the incident were somehow code for the word “ni##er,” which in turn proves, according to CNN, that the Covington boys are evil racists. CNN‘s Kirsten Powers is doubling down on this latest fake news conspiracy theory that she conjured up in her head, insinuating in a recent tweet that the boys should still be burned at the stake for hand-signaling imaginary racial slurs that she’s convinced herself actually occurred during the incident. While acknowledging in her tweet that the black supremacists who instigated the whole thing actually did verbalize the word “ni##ger” out loud in reference to a black student who was present with the other Covington boys, Powers says that the white Covington students’ alleged hand response was the real infringement that deserves shame and punishment. “How is this ‘shockingly little evidence of wrongdoing’ – your words,” Powers added, responding to Robby Soave from Reason who, like his media outlet’s name would imply, actually presented a reasonable account of events on his Twitter page that vindicated the Covington boys of all wrongdoing. In responding to Powers’ inane claims, Soave reiterated that he was not trying to say that the kids’ behavior “was perfect,” but that “one or two people not reacting perfectly at all times in the midst of a highly charged political situation is a far cry from the earlier charges of targeted racist harassment” – but this still wasn’t good enough for Power. Instead of acknowledging and accepting the fact that she was obviously reaching, and seeing things that weren’t there, Powers responded to Soave with even more fake news observations. She once again suggested, without any solid proof or evidence, that the boys were guilty of calling their fellow black classmate a racial slur, when in fact they did no such thing. “is (sic) what you call referencing a black classmate as N—–? ‘not reacting perfectly? '” Powers annoying jibed. The paper reprinted screenshots from now-hidden YouTube videos showing Covington students painted in black as they supposedly “jeered” at African-American players during a school basketball game. Even though we now know that the black paint was a demonstration of school spirit, and had nothing to do with race, once again the mainstream media is using the footage and screenshots as “evidence” that Covington students are essentially lynching black students as they tell them to ride at the back of the bus. “Two sources at Covington told Breitbart News that the students were not wearing ‘blackface’ but had been participating in ‘blackout’ sporting events several years ago, like other color-themed events for school spirit that had nothing to do with race,” writes Joel Pollak for Breitbart News. For more news about how the mainstream media constantly lies and makes up fake news in order to generate mindless controversy as part of its divide-and-conquer agenda, be sure to check out CNNsoFake.news.